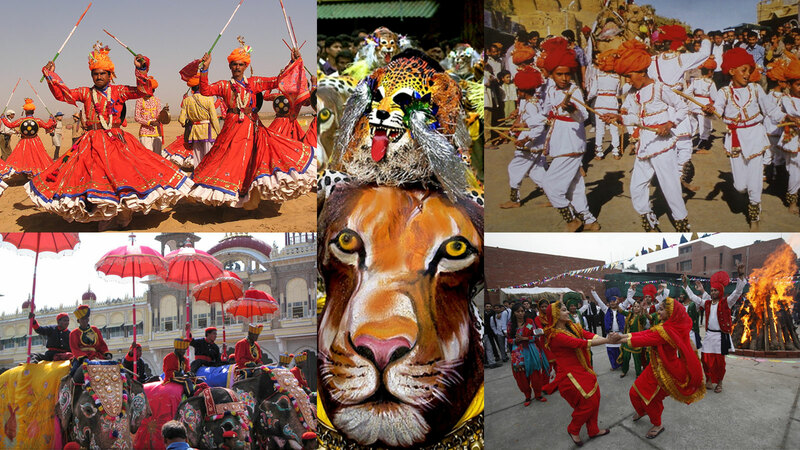 Witness the true colors of India through a perfect frame of vibrant joy and celebration of festivals. 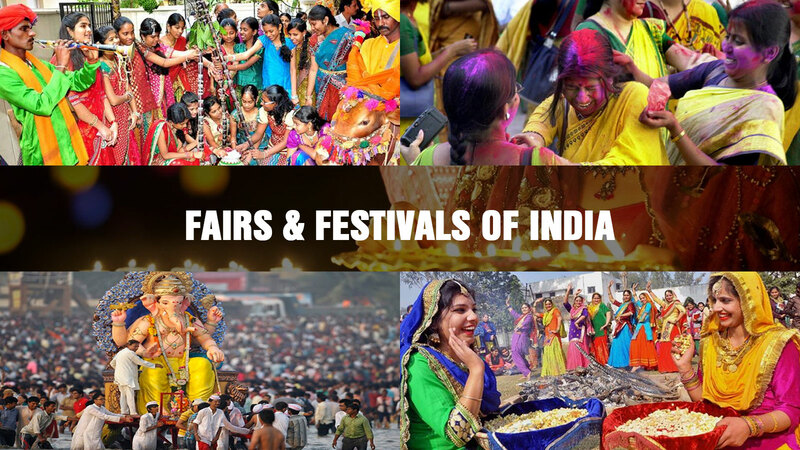 At the colorful land of fairs and festivals, you'll get an opportunity to view a true essence of unity within a variety of cultures and religions. One can easily find out a orientation of happiness in every corner or around his happy surroundings. It is an approach to learn fascinating facts & adjacent stories with the beauty of such religious occasions. 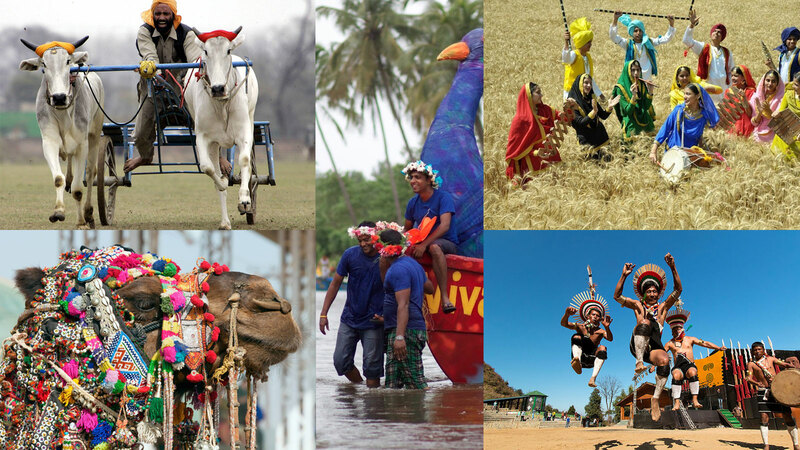 It will be a complete set of joy, if you self has a chance to lively experience them along with endless celebration with the interesting experiences & cooperation of locals. India has immeasurable assorted quality of attractions with the count of its palaces, forts, deserts, temples, mountains, pristine nature, beaches, monasteries and much more which surely draws the attention of foreigners. The delightful month of October is an appreciated stage for celebration season. The lovely climate and lively shades of festivity gives welcome invitation in a pretty manner to appeal several tourists. Here, we discuss about a portion of the real India attractions which are world-renowned, such as- Mysore Dussehra, Festival of lights- Diwali, Desert Festival Jaisalmer, Festival of colours- Holi and numerous others. The format of e-tourist visas by government is also a helping approach to offer an easy and comfortable entry to tourists to attend such cultural events. Navratri is one of the most sacred Hindu festivals of India, which is a long celebration of 9 Nights. It is being celebrated in entire country in the event of victory of Hindu Goddess Durga over the evils. 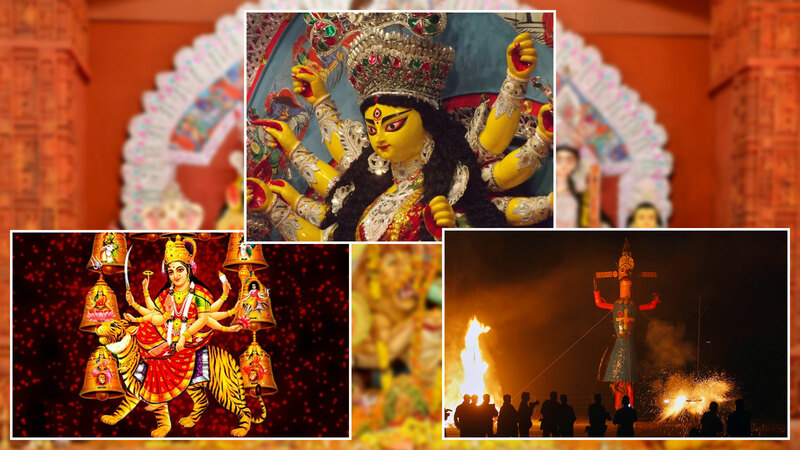 Durga Puja is basically a world-renowned for its biggest celebration in the region of West Bengal or Kolkata. It is an ultimate event to witness the collection of Indian traditions, vibrancy and divine energy with a high spirit of spiritual values. Navratri or Durga Puja is a prime time to pay devotion to the divine power 'Maa Shakti'. With the special Puja and celebration, the 10th day is celebrated as Dussehra in a form of big victory over evils. Diwali or Dipawali is a major Indian festival which is considered among one of the best celebrations in India. It is also known as 'Festival of Lights' which has a blissful connectivity with ancient mythology. This spiritual celebration is held during the month of October or November, specifically based on the moon phase. In well decorated homes with earthen lamps, lights, flowers, candles and rangolis, Diwali is mainly a day to pay our prayers and devotion to Goddess Lakshmi and Lord Ganesha. Basically, it is a day of happiness and joy fully loaded with spiritual values and which held in itself a true beauty of Indian culture and traditions. 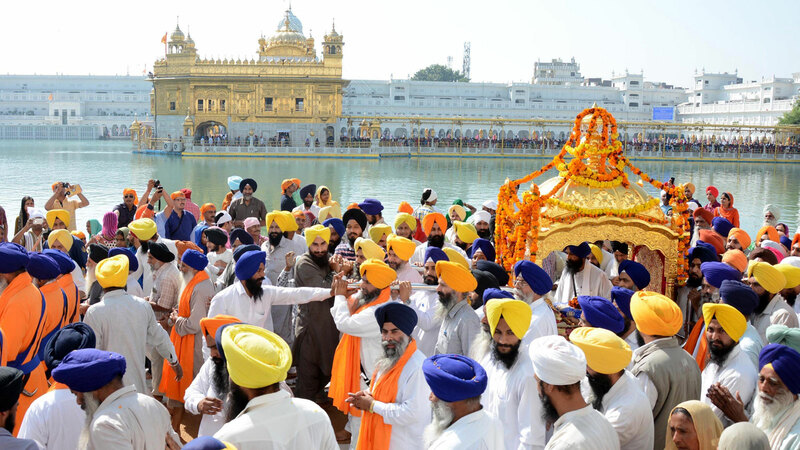 Gurpurab is one of the most special Sikh celebrations all over the world, especially in the region of Punjab. In well decorated Gurdwaras, it is a grand anniversary or celebration of first Sikh Guru Nanak Dev Ji which is also known as Prakash Utsav and Guru Nanak Dev Jayanti. 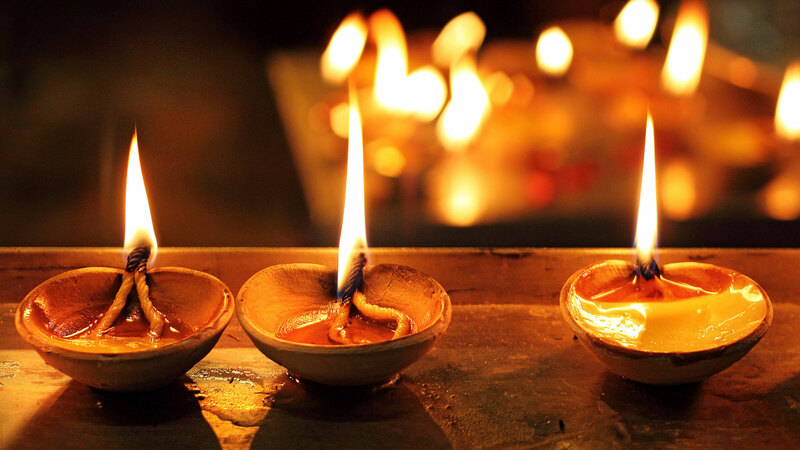 It is also one of the most devotional events in Sikhism when people lighten their homes with lamps & candles. Karah Prasad, langars (community meals), teachings of Gurus, holy hymn chanting and related religious events collectively create a divine atmosphere. It is also a festival of inspiration when you collect or learn the major features from the Sikh way of life. Christmas is one of the big events of India, which is celebrated with a great devotion on the birth of Lord Jesus Christ. Christmas is celebrated with a huge excitement and marked by beautiful decorations, special masses in Churches and exchange of gifts. It is a day full of joy and excitement among several religions and communities. 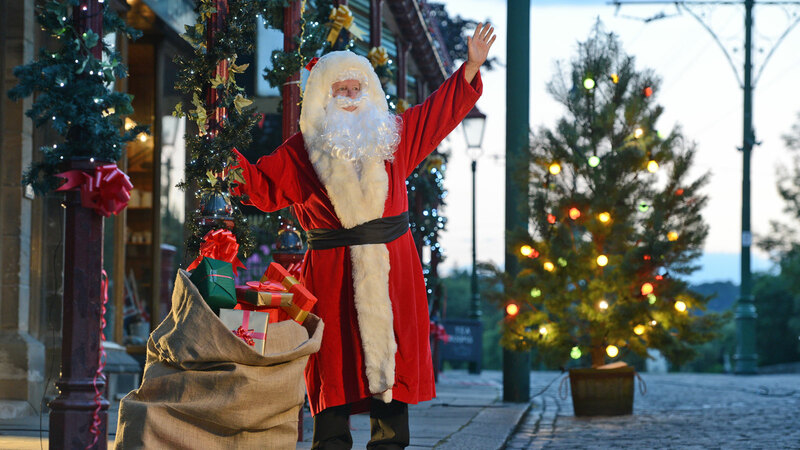 In India, you can enjoy this joyful and grand day of Christmas in the several parts like Goa, Pondicherry, Mumbai, Delhi, Kerala, Kolkata, Manali, Bangalore and many other places. 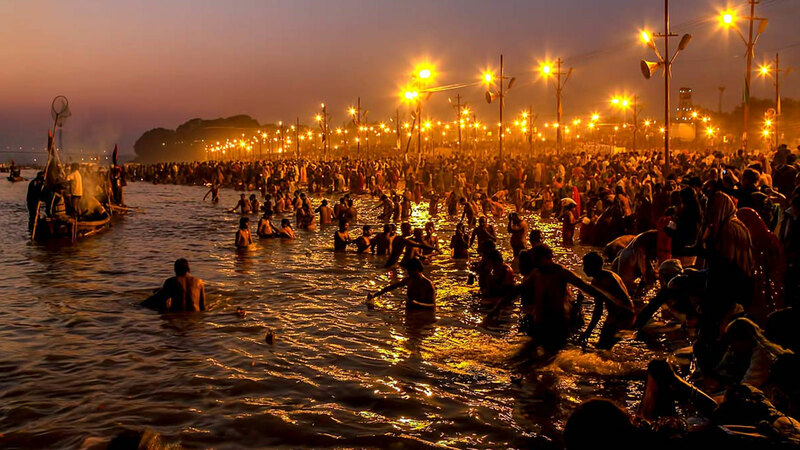 With one of the largest assemblies of human, Kumbh Mela is considered as one of the most religious event of India. As per the past legends, one should be a part of it at least once in lifetime to gain immortality and wisdom. There are four sacred pilgrim centres (Nasik, Ujjain, Prayag and Haridwar) where Kumbh Mela is held. During the several auspicious events, the pilgrims around the world visit here to bathe in the sacred water. Majorly, you can witness the Yogis and Saints as the part of this divine mela. Add an impressive highlight within your India tour with your visit at Jaisalmer, especially during the time of annual Desert Festival. During this grand Indian festival, you have the opportunity to closely witness the rich traditions, culture and heritage values of royal land Rajasthan. 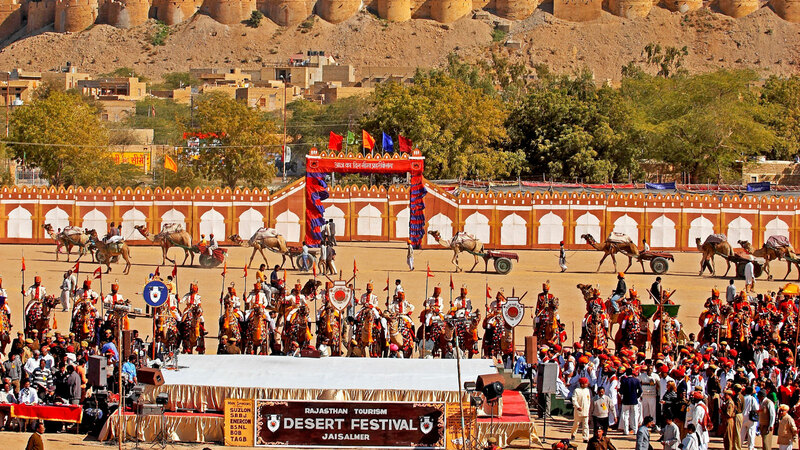 With the beauty of forts, deserts and palaces, Jaisalmer Desert Fest offers you a chance to add extra spark in your visit. You can participate or enjoy the various events related to camel race, firework display, longest mustache, turban tying and Mr. Desert and Miss Moomal like activities. Holi is one of the amazing festivals of India which plays a major part in culture, religion and traditional values. 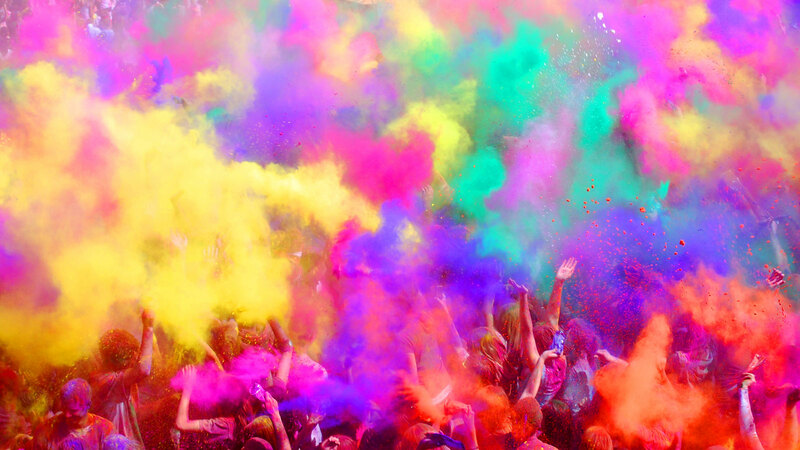 If you want to discover the real India, then get ready for your presence during this festival of colors. With the beginning of Spring season during the month of March, the joy of 'Color festival- Holi' spreads everywhere, especially in the popular regions of Mathura, Vrindavan, Nandgaon, Barsana, Jaipur, West Bengal and related ones. Thandai, Bhang, gulal and water colors are the major things which add a joyful spirit to this festival. 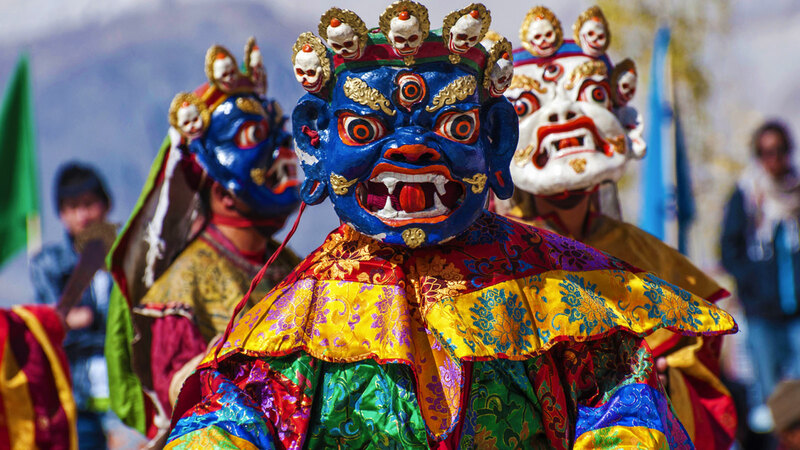 Hemis festival is one of the grand religious celebrations of the cool desert of India. It is celebrated at the biggest Buddhist monastery, 'Hemis Gompa' at Ladakh. Mask Dances are the prime attraction of this event. It is a religious ceremony of two days, which falls on the 10th day of Tibetan lunar month. This grand event celebrates in the remembrance of the founder of Tibet Tantric Buddhism- Guru Rimpoche during his birth anniversary.